I was ooting a Northern Mist Steve handed me at the T.A.S. World at Farmland, but it was a Baraga. Shot great. Yep great bow .a very stable and hard hitting bow. I shot one this past January at Kzoo, like Buckdancer said, hard hitting and stable. I'm a big fan of reverse handle bows and the Ramer along with Steve's Whisper are excellent bows. Performance, looks, they have it all. I have a barraga a American that will be here Monday and another on order. You just cant beat Steve's bows in my opinion. He is an honest man that fully stands behind his work, and has excellent prices. I have shot one and like the regular grip, but all his bows are fantastic. I am a fan if you cannot tell lol. If I remember correctly, the Ramer is the Whisper with string follow. I had a Whisper that I wish I still had. Traded it for a bow I could rehab with after surgery. I'd like to get a Ramer when I get back to full strength. Steve said he would build one I could shoot LH and RH. Dan, you are going to fall in live with the American. Mine has everything I've ever wanted in a bow. Ghotstbow and Andy Man, That is great to hear. I have another bow on order with Steve but with all the praise for the American, If it shoots as awesome as everyone says I will just have Steve build me a 2nd one. Anyhow its a little like waiting for Christmas morning to get here when I was a child. I have shot a friends 75lb Ramar and shot it well but just to heavy for me on a regular basis, I have a 55lb Whisper that will always be mine, a American and a Baraga both in the 50-52 range unfortunately finger arthritis is playing hell with me so will probably order another Whisper in the mid 40’s soon. Order a Ramar if it fits you Steve is top notch and so is his Bows. Andy, I talked to Steve last week on the phone, he wanted to know how I liked my American. Simply put, I told him after shooting it for 5 minutes it felt like I had shot that bow for 10 years. Fantastic guy to talk to as well. I'm sure all of his other offerings are top notch. This will be my 2nd season with mine. Love it smooth and forgiving. 64" 50# If it matters to anyone it shoots an arrow @165fps 10GPP. Steves Bows and craftsmanship are remarkable; I have shot the Whisper, loved it, almost ordered a Ramer, (will soon), own a bocote Baraga that is an amazing little bow. 60" 49@28", and fast! Quietest longbow I have ever owned , and I have owned a pile of them. Steve is very personable, and is willing to build you anything that you can create in your wishes.. I'll be one of those guys that didn't shoot the Ramer but feel compelled to post. I have owned and shot quite a few of Steve's bows. 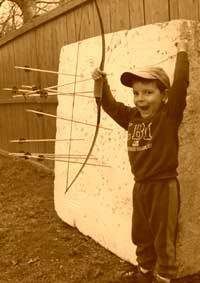 I also owned the Whisper but gave it to a friend's son who was starting in traditional archery. The reverse handle whisper was quiet and dead in the hand. Steve's bows are 2nd to none for sure. The quality and craftsmanship are amazing. Not to mention Steve is just a great guy who's passionate about his art. I just ordered one of his 3 piece takedown Skanee longbows. The excitement and anticipation has already started. Stopped in and visited with Steve the other day, Super nice guy by the way. Shot several of his bows and a Ramer is the next on my list! Almost left with one but I’m torn between a straight grip and a Locator grip. That Ramer was silent with nothing on the string. have only shot a friends 64" Baraga while helping him tune it. He was a compounder and now hopelessly all-in on trad, has bought three other bows already. Baraga was a really nice bow craftsmanship wise and shot great without much fuss. As mentioned above it was pretty darn quiet without any string silencers too. We were at around 11gpp on the douglas fir arrows I had him try. So we were a bit on the heavy side in that regard. If I was in the market I wouldn't hesitate to get one of Steve's bows.